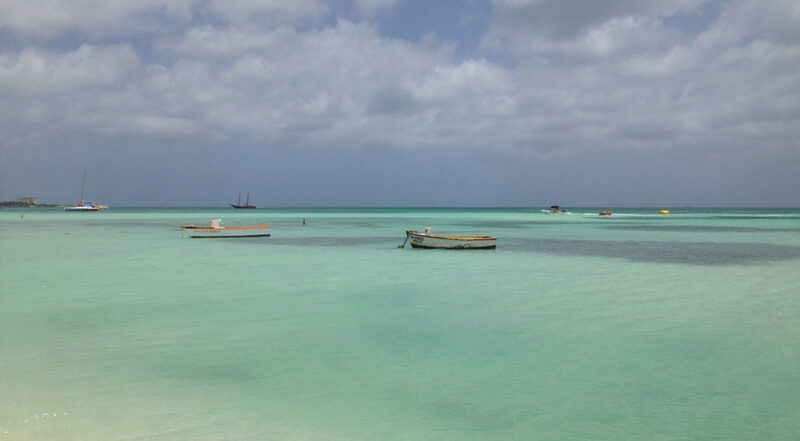 An Aruba vacation provides the perfect opportunity for quality family fun and adventure under the sun. 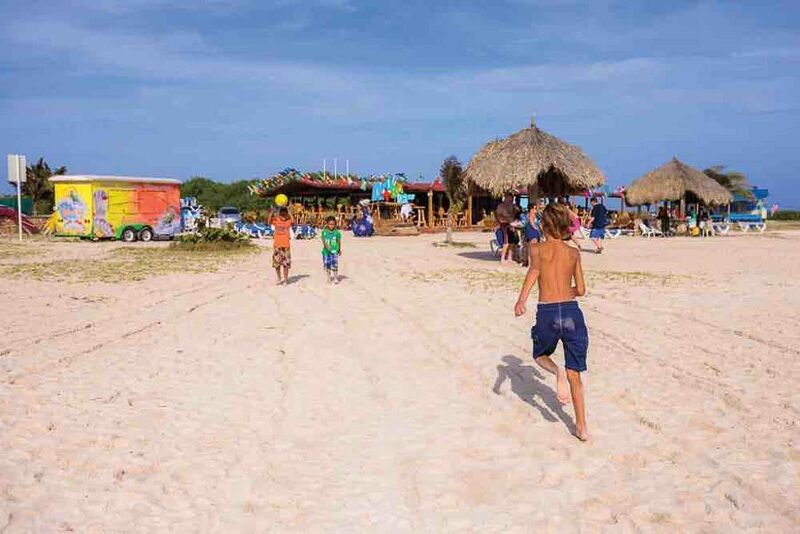 The island offers a fantastic family getaway for children of all ages – here are 7 awesome things for kids to do on Aruba. Only minutes away from all the high rise hotels and a hundred yards from Palm Beach, this unusual attraction allows you to enter a magical oasis teeming with exotic butterflies from around the world. The place feels like an enchanted garden that showcases nature in all its diversity and wonder. Tour guides will take you through the different stages of a butterfly’s life, while you stroll through this lush microcosm of tropical rainforest. 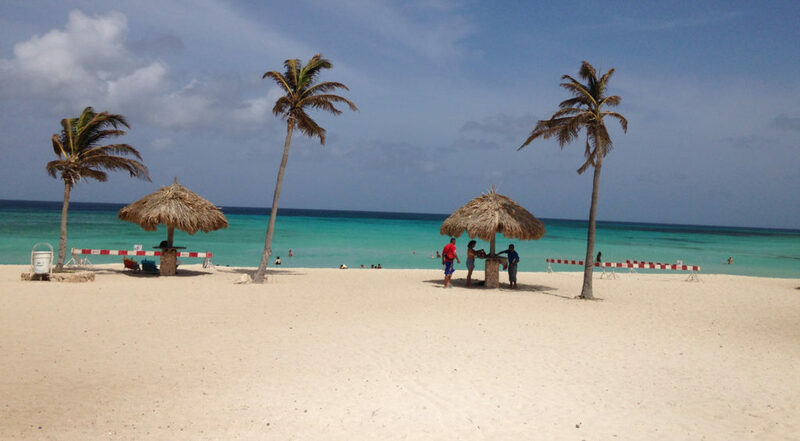 De Palm Island is one of Aruba’s most popular attractions, offering all-inclusive fun for the whole family. Entry to the private island includes a breakfast & lunch buffet, open bar, snack corner, snorkel equipment, banana boat rides, zipline, air-jumpers, water park, human foosball, beach volley, beach lounge chairs, salsa lessons and more. You can also upgrade your experience to include a Seatrek Underwater Helmet Walk, a massage on the beach and even a temporary tattoo! For further information and to book click here! 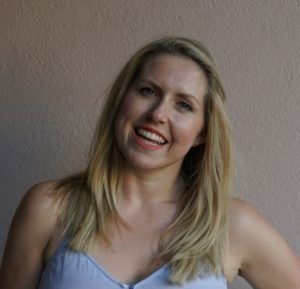 Outings to downtown Oranjestad present educational opportunities. Take the family to the Archaeological Museum in downtown Oranjestad where Caquetio Indian artifacts are on display and exhibits shed light on the 2000-year-old Amerindian heritage of the Aruban people. 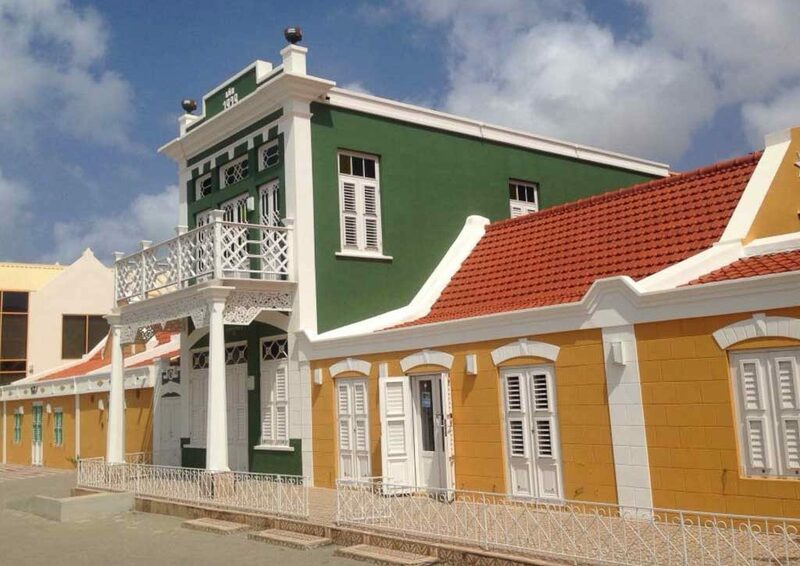 Fort Zoutman, the oldest building in Aruba, houses the Historical Museum and is the venue for the weekly Bon Bini Festival (Tuesday at 6:30 pm), a cultural evening of local music, dancers, food and crafts. Just out of town, the Aruba Aloe Museum shows how this world-renowned product has been harvested for hundreds of years and is now processed in a state-of-the-art facility. Founded in 1997 as a non-profit and completely volunteer-run, the Donkey Sanctuary has become a safe haven for 130 donkeys. Once the major mode of transportation for island residents, donkeys were left adrift in modern times, with cars now trundling down the same cactus-lined pathways where they once traveled, carrying passengers and pulling carts. 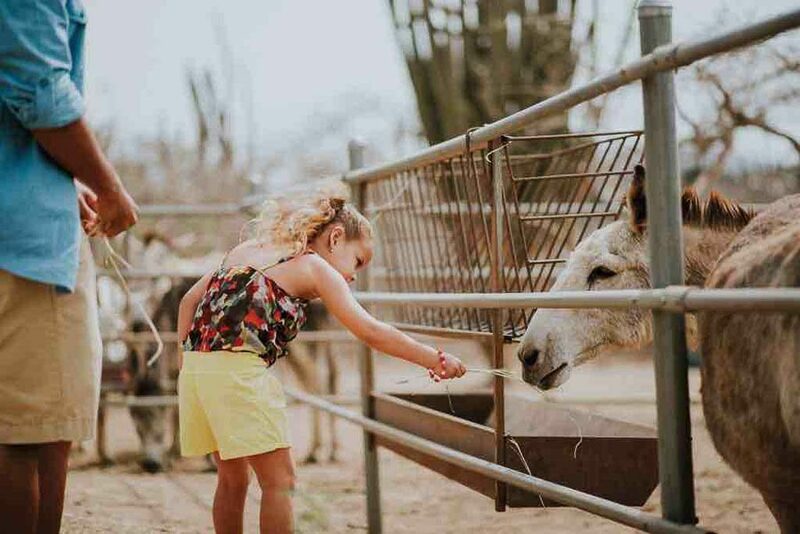 The sanctuary offers guided tours of the grounds, and if you get there earlier enough, you can even help with the daily chores of feeding and caring for the donkeys – a great and educational experience for children! If you’d rather just observe, then you can do so from the visitors centre and enjoy a cold beverage and snack. Beaches along the west coast fringing the resort areas and beyond generally have calm waters perfect for swimming and splashing. Sandy shores hold endless surprises – from glistening shells and bleached coral, to colorful sea glass and scurrying crabs. Kids never tire of making sand angels and building castles. 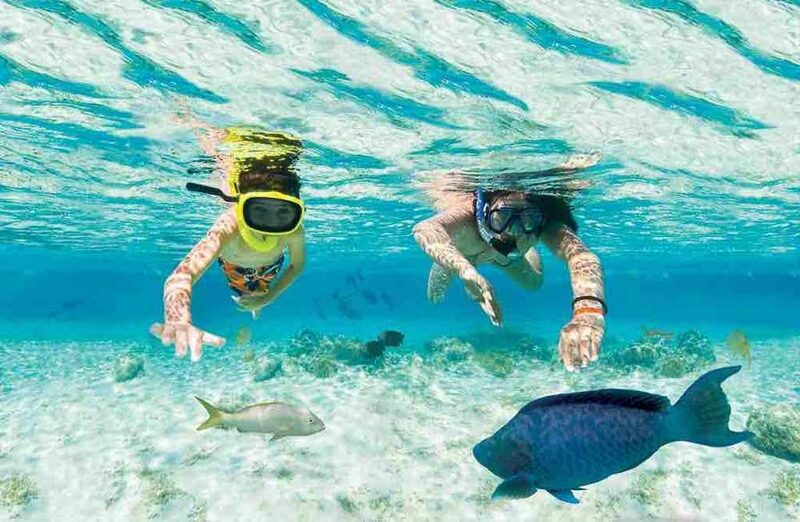 A snorkel and mask are all that are needed to discover a wondrous new underwater world brimming with brilliant sea life. Arikok National Park covers almost 20% of the island. 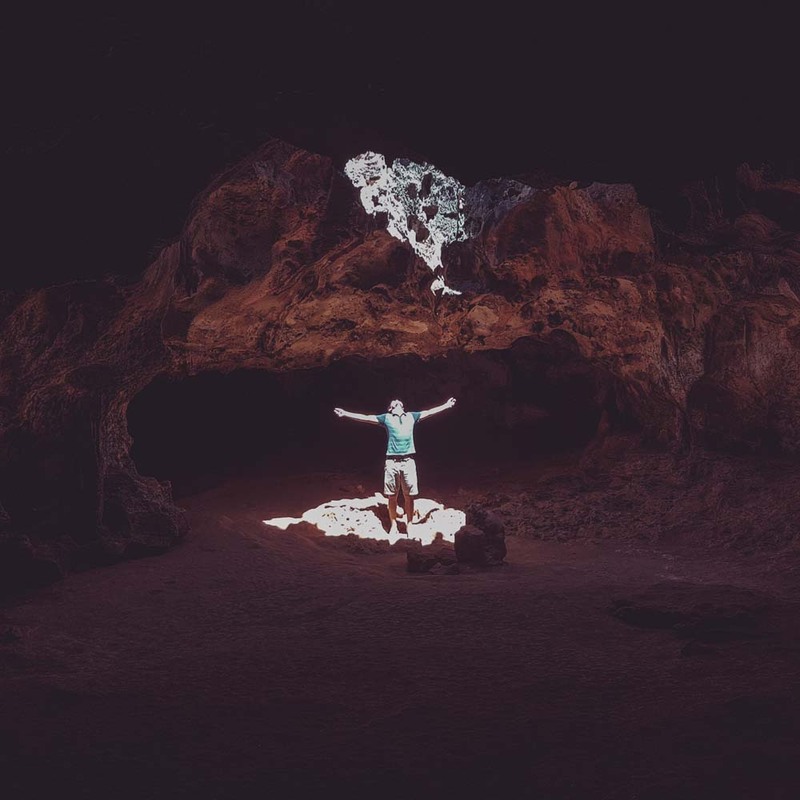 With 20 miles of trails, the whole family can learn about Aruba’s flora, fauna and cultural history and see sites that are not normally visited. Indian drawings on the walls of underground caves, unusual natural bridges formed by the pounding of waves over millennia, alabaster sand dunes, the abandoned ruins of a gold mill, and a sparkling Natural Pool in the middle of nowhere are some of Arikok’s surprises. A Visitors’ Center and knowledgeable and entertaining rangers complement the experience. 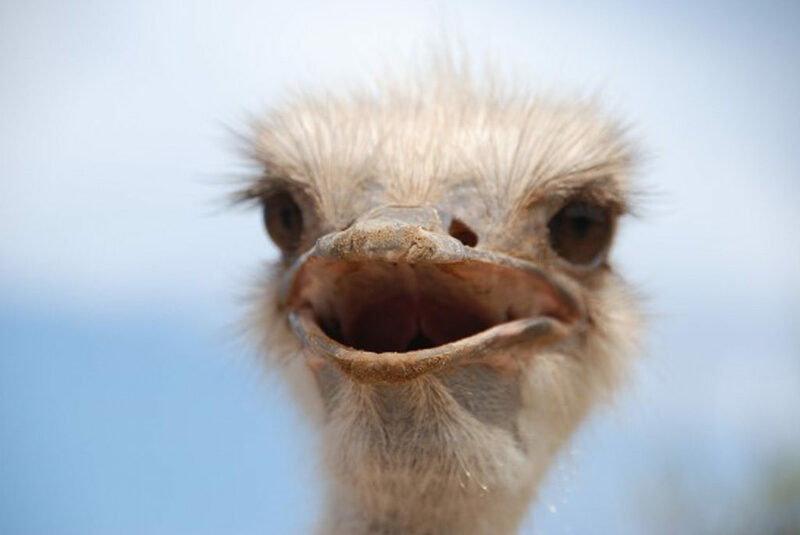 The Ostrich Farm has the look and feel of the African savanna; here kids can delight in the antics of big birds descended from dinosaurs. The experiential tour provides the opportunity to learn about the natural behavior and survival instincts of these amazing creatures through detailed information as well as personal encounters with the birds.